Petrobras said on Thursday that its total oil and natural gas output in October was 2.77 million barrels of oil equivalent per day (boed), of which 2.67 billion boed was produced in Brazil and 104,000 boed abroad. The average oil output in the country was 2.16 million barrels per day (bpd), in line with the month of September. 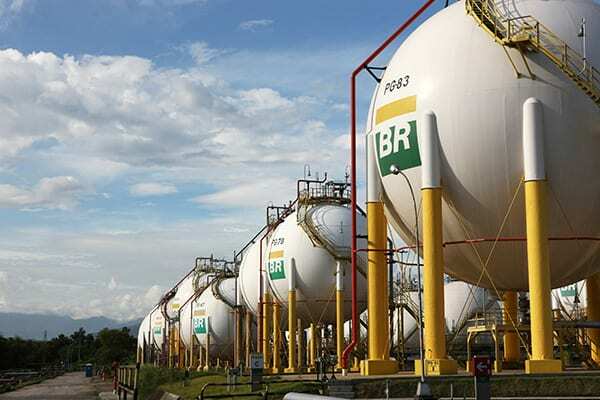 Natural gas production in Brazil, excluding the liquefied volume, was 80.3 million cubic meters per day, 1.5 percent less than in the previous month. 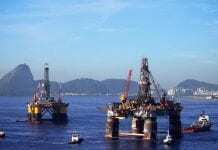 This outcome is mainly due to the maintenance shutdowns of FPSO Cidade de Anchieta, which operates in the Jubarte, Baleia Azul, and Pirambu fields, in the Campos Basin pre-salt area, and of FPSO Cidade de Caraguatatuba, which operates in Lapa field, in the Santos Basin pre-salt cluster. In October, the oil and natural gas output operated by the company (own and partner portions) in the pre-salt layer added up to 1.63 million boed, 2.9 percent less than the previous month’s. This was also due to maintenance shutdowns at FPSOs Cidade de Anchieta and Cidade de Caraguatatuba. In October, oil output at overseas fields was 61,000 bpd, down 3.6 percent compared to the previous month’s mark. This decrease is mainly due to operating issues in the Akpo and Agbami producing fields, in Nigeria, and to well closures in the US during Hurricane Nate. Natural gas production was 7.3 million cubic meters per day, stable compared to the September 2017 output.